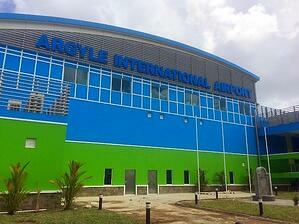 On Tuesday, February 14th, St. Vincent & the Grenadines officially opens Argyle International Airport, a multi-year project supported by local businesses, international investment, and the government of SVG. This is an exciting development for the island chain, signaling a future that has the culture, people, and economic interests of St. Vincent more connected to the international community of the Caribbean and the world at large. The project was not without its challenges, having broken ground in 2005, but it's completion is so celebrated, St. Vincent essentially declared opening day a national holiday. The opening of this new airport is a welcomed addition for Trinity's students as well. In the past, there have been no direct flights to St. Vincent from the US and Canada. 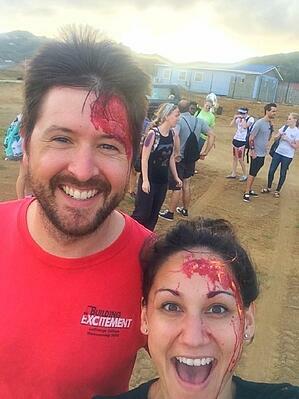 Typically, students and visiting faculty fly to Barbados and change planes. While it's too early to reveal who, talks with major US and Canadian carriers are underway to secure regular flights that will change all that. In the interim, the modern airport is a major facilities upgrade on E.T. Joshua airport, located on the coast near Kingstown (the old airport's proximity to the heavy population center limited its ability to grow as needed). Of course, this wouldn't be the Trinity School of Medicine blog if we didn't also brag about our incredible students and their dedication to every opportunity to enhance their training and take part in the greater Vincentian community. We actually received a write-up from one of our students, Caitlin Laird on a major training exercise our 5th term students took part in. Read on and enjoy her first hand account of the day. 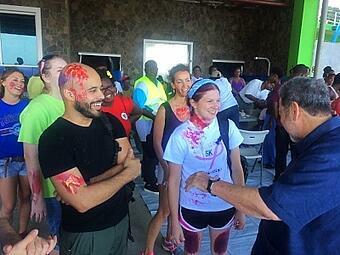 Last week, Trinity School of Medicine had the privilege of participating in a mass casualty drill. 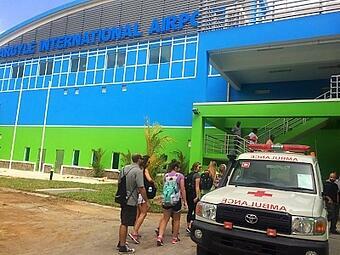 A group of fifth term students were tasked with playing the victims of a plane crash. We, along with other volunteers, made up the pool of 67 "victims," embelished with a variety of bruises, abrasions, penetrating injuries, burns, and amputations. After a safety briefing and a surprise meeting with St. Vincent's prime minister Dr. Ralph Gonsalves, we were off to the disaster scene across the runway. We scattered among the dirt and grass, ready to yell for help or play dead in the ensuing chaos. First came the fire: drums of fuel were lit and the two aircraft rescue & fire fighting (ARFF) trucks responded. It was a windy evening, but the fire fighters suppressed the flames, at which point teams of first responders began tending to victims. We weren't privy to the details of their MCI triage system, but later found out that initial steps included tagging victims with one of two colored ribbons: red for critical or green for walking wounded or dead. We did our best to play our parts, which ranged from delirium from head injuries, to difficulty breathing from crush injuries to the chest, to general moans and groans that undoubtedly come with being ejected from an aircraft. Some initial care was rendered in the field such as pressure bandages, but the primary goal seemed to be patient prioritization. The walking wounded were ushered in one area, while the red tagged victims were carried on stretchers and backboards to another. Information was gathered from those who were coherent and able to speak. Some of our colleagues didn't look too good; a few may have "died." As the drill wound down, we had the opportunity to speak with a representative from PAHO/WHO (Pan American Health Organization / World Health Organization) who was on hand and overseeing the entire training program, allowing us to ask questions and offer feedback as "victims" and medical students heading into our clinical rotations. It was an honor for us to be included in such an important part of St. Vincent's growth and development. Even though we played a minor role, it was truly a privilege to be able to give back to a community that so warmly welcomes Trinity students. It also gave us great insight into rescue operations that are different from what we might be used to. While the goal of saving lives is the common thread, the differences in environment, resources, training, and strategies were apparent and fascinating. Observing Vincentian first responders in this capacity was a humbling experience and we salute them for working so hard to keep others safe. 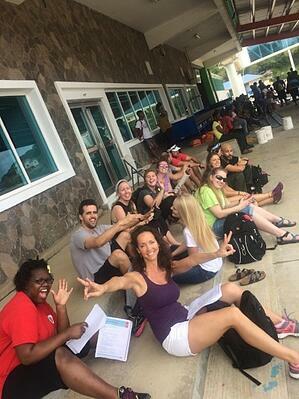 Yet another Trinity School of Medicine adventure is in the books for us, an adventure that further exemplifies how medical school in St. Vincent is a truly awesome experience that goes far beyond the confines of a classroom! Thanks very much for sharing with us, Caitlin. You all embody the enthusiasm, engagement, and hard work that helps create Trinity's unique campus culture!